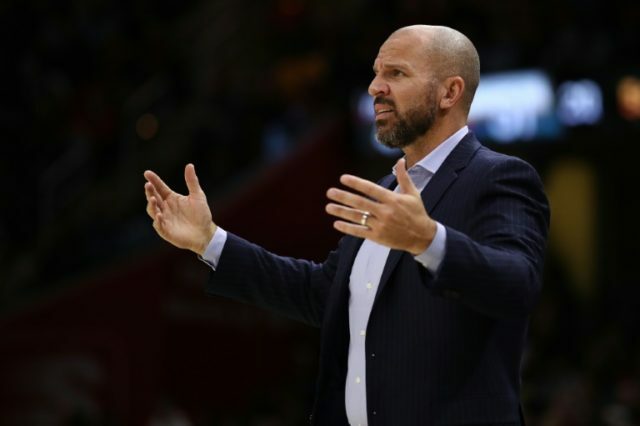 Los Angeles (AFP) – Jason Kidd was fired as head coach of the Milwaukee Bucks on Monday, with franchise chiefs saying a change was needed to help the team challenge for championships. A Bucks statement paid tribute to Kidd’s work in helping the team reach two playoff appearances soon after his appointment in 2014. However, general manager Jon Horst said the time had come for a change with the Bucks languishing in eighth place in the Eastern Conference standings at 23-22. “We appreciate everything that Jason has done for the Bucks organization, but we have decided to make a coaching change,” Horst said. Kidd, an NBA champion as a player with the Dallas Mavericks in 2011 and a 10-time NBA All-Star pick, helped steer the Bucks to the playoffs in his first season in charge. Bucks assistant coach Joe Prunty will take over for Milwaukee’s game against the Phoenix Suns later on Monday. Under Kidd, the Bucks had a regular-season record of 139-152 and reached the first round of the NBA playoffs in the 2014-15 and 2016-17 seasons.